CareLineLive has been working with home care agencies to deliver more time to care through automating procedures, increasing revenue opportunities, and decreasing unnecessary costs. 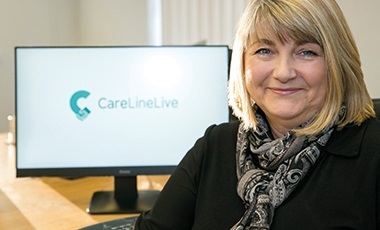 Since installing CareLineLive, Karen Jacobs from South Coast Care, a home care agency with over 60 carers, has seen both the financial and operational benefits. She said: “CareLineLive has improved our business from day one. It’s easy to use and has made us so much more efficient. “The challenges facing agencies that do not use effective care management systems are numerous; from endless paperwork to low staff productivity, inadequate carer-management communication, and dissatisfied customers. With CareLineLive, home care agencies enjoy countless benefits through the integrated three-way system. The CareLineLive Management System improves cash flow through automating timesheets, increasing billing and payroll accuracy. 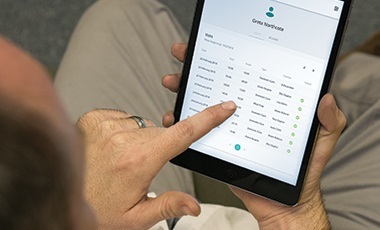 Used by carers, the CareLineLive Mobile App increases shift reliability, productivity with instant access to rotas, and automatically logs visits. Not only that, the GPS tracker increases the personal safety of carers communicating carers’ locations at all times. Recently launched, the CareLineLive Family & Friends website completes the user experience, providing peace of mind about a loved one’s care with live updates about visit schedules and access to carer notes so they are notified of any problems. CareLineLive is the only care management system available on short-term one-year contracts and can be completely flexible to any size of business.